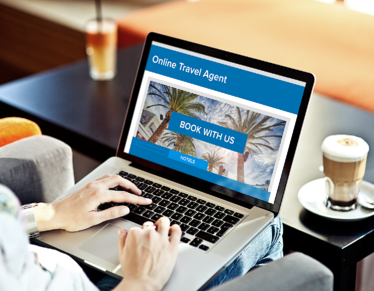 In the modern travel market, online travel agents have successfully retained the lion's share of online travel bookings made by users – according to a 2016 Phocuswright study, 66% of British travellers booked their accommodation through an OTA, while only 28% used a hotel’s own website. As frustrating as this is for a hotelier who is looking to increase direct bookings, is there something you can learn from their success? The number one reason people gave for using OTAs is that the websites are easy to use. Because online travel agents don’t have their own product to sell, the best way for them to differentiate themselves from the competition is to ensure that the way they sell their product (hotel rooms) is the best. OTA websites all make it plain and simple for a user to do what they are there to do – find a hotel and book a room. Navigation on the homepage is usually minimal, important information is displayed above the fold (it is visible to the user without them having to scroll) and all the user’s attention is directed towards calls to action to “search” and/or “book”. OTAs are also easy to use on mobile devices, and indeed, according to eHotelier, more than 1 in 4 of the room nights booked via Expedia group sites are booked on a mobile device. As an hotelier, you need to decide what the ideal action you would like people to take on your site is, and steer them towards taking that action. If you want users to book a stay at your hotel, you will need a clear “book now” or “reserve your room” call to action, website users will need to be able to see your call to action and other important information without scrolling, and your navigation (while still being user-friendly) shouldn’t distract users from the primary route you want them to take. 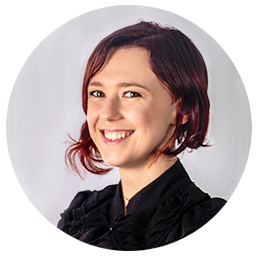 Having a mobile-friendly website is also paramount if you want to attract direct bookings. Even if people do not make their final booking with you on a mobile device, you can be fairly certain that they have spent some of their online travel browsing on a mobile phone or tablet. Online travel agents are excellent at reassuring their users that not only have they made the right decision with their bookings (think about the “best price” guarantees and social proof of so many people having provided good reviews for a particular property), but also that if they do change their minds, they won’t find themselves at a loss. For instance, Booking.com prominently tells users “Book now, pay when you stay! With FREE cancellation on most rooms”. Make sure that it is not more risky for your patrons to book through your website than via an OTA. 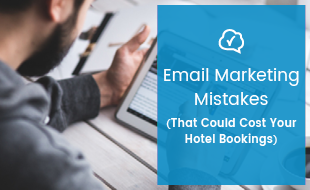 Make it clear that your cancellations policy is at least the same as that of any OTAs you might be listed on, and if possible offer a more lenient policy for people who book direct. As important as having these policies in place is making sure that travellers know they are there – make sure that the benefits of booking directly through your website are highly visible, and you have anticipated and put to rest any misgivings your prospective guests might have. In 2014, 76% of leisure travellers who booked through an OTA told Google they did so because it offered lower prices or better deals, and the 2016 study by Phocuswright shows that this belief is still alive and well. In fact, when asked if they agreed or disagreed with the statement “OTAs have better prices than hotel or airlines own website”, only 13% of British travellers disagreed, while 34% agreed that OTAs were cheaper than a brand’s own site. In China, the number of people who believe that they can get a better price on an OTA is as high as 63%. Luckily, big hotel chains like Hilton and Marriott are putting massive amounts of money into campaigns like “stop clicking around” and “it pays to book direct”, which are aimed at changing the public’s mind about OTAs being the cheapest option, so they are fighting part of the awareness battle for you. However, this doesn’t mean that you shouldn’t be doing your part too. Make it clear on your website (and on social media and in your other marketing material) that guests will get the best price if they book direct – and keep your word. If you can’t offer better prices because of price parity agreements, you can still find ways to offer more value than OTAs, such as offering room upgrades or other freebies and service perks. When anyone thinks of booking a holiday online, they usually first imagine browsing and booking on an online travel agent website. Because online travel agents are so good at convincing people to book online through them, it has become habit for travellers to do so. 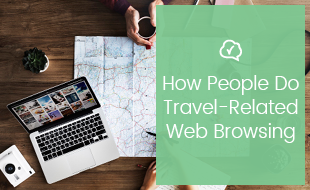 Once a traveller lands on an OTA website, they will be greeted with a multitude of tactics that reassure them that they are making the right decision by booking right here, right now, and that if they tarry they may lose out. Your first tactic is to make sure that your prospective guest never ends up on an OTA in the first place by ensuring that they come across your own website rather than your OTA listing when they search for “accommodation in Bath”, for example, or your hotel’s own name. Keep your hotel at the top of search results by bidding on particular keywords and your brand name using Google AdWords, and pay attention to your site’s search engine optimisation so that you can get on top of the competition in organic results as well. Once you have your audience’s attention, do your best to keep it. For example, OTAs often take advantage of traveller’s natural fear of missing out by warning them that prices are likely to go up soon. One area in which OTAs have really excelled is in winning trust. This is not a coincidence either – by showing new users everything from individual guest’s reviews to how many room nights have been booked at a hotel for the coming month, OTAs use previous travellers experiences (good and bad) to reassure new users that the services of the OTA can be trusted, and by providing prospective travellers with evidence of how much other people have enjoyed their trips, they influence current website users to imitate them. Reviews from past guests, the number of people who have already booked at a certain hotel or the number of people who have saved a property to their shortlist are all forms of “social proof” – proof that one’s social group approves of a certain course of action – and it is extremely influential in gaining people’s trust and influencing their behaviour. Online travel agents don’t have exclusive rights to social proof – you can, and should, share your own as widely and prominently as possible. Share positive reviews of your hotel on your website and social media accounts, count up how many good reviews you received over last holiday season and tell people about them, and share videos and pictures of real guests having a good time at your hotel. All of this works as social proof, and will convince other travellers that your hotel is the best one for them. Potential guests are more likely to trust the word of others over the marketing of a hotel. That's where using reviews as social proof to encourage potential guests to book comes in. Click on the banner below to download our free Social Proof ebook and find out more.